Jaipur National University is a private University that was established in the year 2007. It was granted the UGC certificate in the year 2008, and since then it has been a great education hub for students from far and wide. Jaipur National University is constantly setting benchmarks in every field of learning. They strive on providing the best of education through regular lectures and seminars, workshops, symposia, extra-curricular activities, sports and different cultural fests, that enables students in shaping their future and moving forward in life progressively. Jaipur National University SODEL was founded in the year 2008-2009 and was granted DEC approval for starting various undergraduate and postgraduate programmes. Jaipur National University has always maintains its level of education, whether regular or distance. Self learning along with counselling is regularly provided here by experienced faculties. It’s a great attempt to provide education to students from different parts of the country, who are otherwise unable to due to family, professional or geographic constraints. 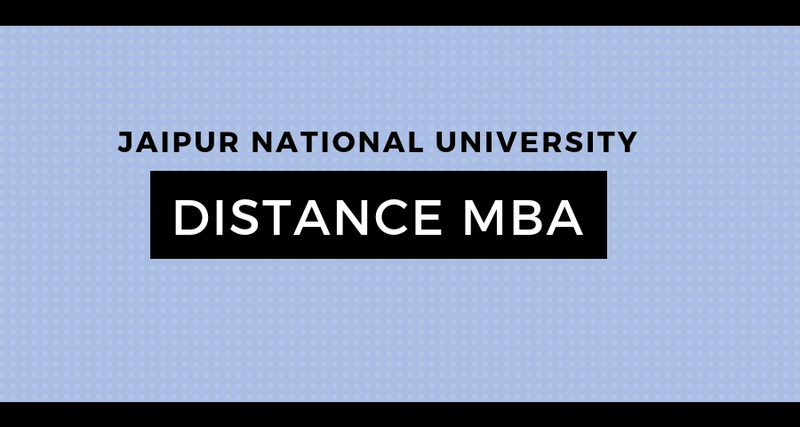 Distance Education MBA at Jaipur National University is an affordable and flexible programme that enables students to acquire a higher management degree from the comfort of their home or while pursuing a regular job. This programme teaches students all the imperative management skills and trains them to find better and worthy jobs in the corporate world. It is a two year programme which comprises of 4 semesters conducted half-yearly. 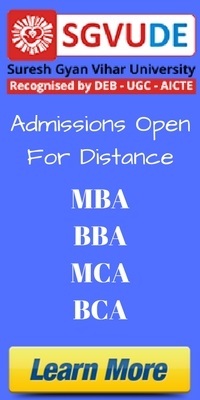 Jaipur National University distance MBA fee structure is as follows. This is applicable to all the specializations. Payment of the fees is to be made through Demand Draft in favour of Jaipur National University in Jaipur. You can get the application form for Rs. 500 from your city’s University Information Centre. Just collect all your eligible documents’ photocopy and a coloured passport size photograph and pay the required fee at the information centre in the name of Jaipur National University. Or you can even choose to apply online at www.sodel.jnujaipur.ac.in. Upload documents and photograph and fill in payment details. Get a print of the application form and take the receipt from the information centre.